A precocious seventh-grader tries to turn over a new leaf and end her term as the class clown. It’s New Jersey, 1990, and Jacky Hart is the middle child in a family with six other girls. Attention is hard to come by, but Jacky has earned her fair share by being the endlessly funny member of her large, white family. Unfortunately, Jacky’s teachers do not appreciate this goofball attitude. Jacky joins the school play to channel her talents creatively and discovers a passion for performing, but not all is well. Jacky's mother is overseas as a citizen soldier in the run-up to the first Gulf War, and her lifeguard father is spending way too much time with an attractive female fellow lifeguard. A lot of other things happen too, but this is typical for Patterson. 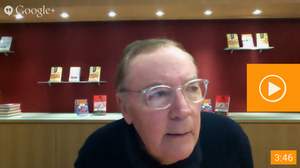 His novels are made or broken not by their plots but by their lead characters, and Jacky is the best yet. 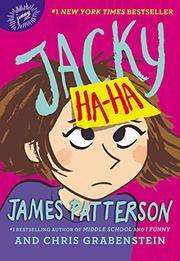 Fun, smart, emotionally engaging, Jacky is a character that young readers will love spending time with. Sure, the novel could lose about 100 pages and still tell the same story, but Jacky and her sisters are so endearing readers won't feel the effects of the chubby second and third acts until long after finishing the book, and few will really care. Pop-culture references from the ’90s and the 2010s (for comparison) abound.